A new study of remains from multiple Royal Navy graveyards has found evidence that the life of the British sailor in mid-18th to early-19th centuries was as disease-ridden, painful and often brief as you’ve always thought it was. A team of researchers from Oxford University and Cranfield University examined the bones of 340 skeletons from Royal Navy cemeteries in Greenwich, Gosport and Plymouth to perform the first wide-range osteological study of the sailors who manned Nelson’s fleet. “They are the only major collections of Royal Navy skeletal material from Britain for this period which have ever been excavated. The thousands of pieces of data we’ve been able to extract through our analysis are dramatically enriching our understanding of naval life in the Nelsonian era,” said osteologist Ceri Boston, of Oxford University’s School of Archaeology, who has been examining material from all three sites. 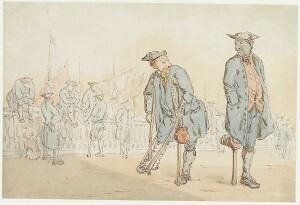 The investigations have allowed Oxford University’s Ceri Boston and her colleague Catherine Sinnott of Cranfield University to study individual sailors and marines who suffered from scurvy, syphilis, ulcers, severe tooth infections and possible malaria as well as from battle wounds, falls – and injuries probably sustained during brawls. Such maladies and ailments were notoriously endemic, but researchers were surprised to find just how widespread scurvy and minor cuts and abrasions developing into major infections were in the fleet. Scurvy isn’t usually fatal, but it does cripple your immune system. 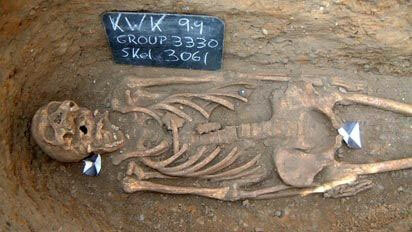 Malnourished sailors then fell victim more easily to fatal infectious diseases like malaria or typhus. Six percent of the skeletons they examined were amputees, another surprisingly high percentage, and many of them did not survive the amputation surgery. The most common cause of amputation were broken shin bones, not because of the break itself but because since shins are so close underneath the skin the splintered bone fragments can easily break through the surface and cause an infection. Once infection set in, the leg had to go. Osteologists also discovered by looking at the height and childhood malnutrition rates of their bones that only a minority of the sailors examined came from the lower echelons of society. They expected to see a lot more poor people press-ganged into service. I imagine the élite officer-and-a-gentleman ranks were buried in fancier accommodations than Royal Navy cemeteries, so if anything I would have expected the majority of the interred to have come from meager circumstances. A small number of the remains were of African descent and were probably former slaves who gained their freedom by enlisting. The different graveyards proved to have interesting data clusters. Out of the 170 skeletons excavated in Plymouth, a full fifth were teenagers who appear to have died from malaria or yellow fever. Some of them were as young as 11 years old, and probably held the unenviable job of “powder monkey,” ie, running back and forth to all the gunners reprovisioning them with gunpowder and ammunition. Almost all of the 50 skeletons unearthed in Gosport were young men in their 20s and 30s who, unlike the Plymouth sailors, did not serve in the Atlantic and the Caribbean. The 120 skeletons from Greenwich were all senior citizen veterans. Greenwich was home to the Royal Hospital for Seamen (now just plain ol’ Greenwich Hospital), built in the early 1700s and closed in 1869. The hospital was founded to home injured veterans on a naval pension. 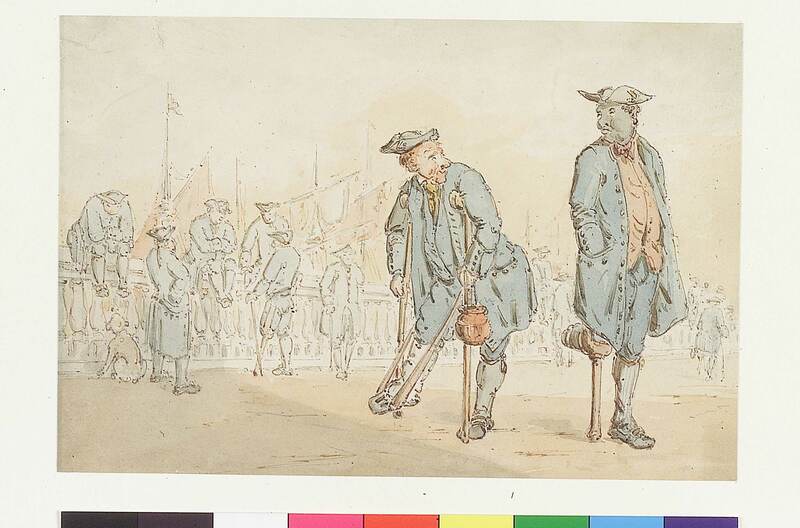 They became known as the Greenwich Pensioners, often depicted in the popular press of the era in their distinctive blue uniforms and peglegs. A documentary of the study, Nelson’s Navy: Back from the Dead, just aired on UK’s Channel Four. You can watch it online if you’re not in the States. This entry was posted on Sunday, September 4th, 2011 at 11:58 PM	and is filed under Modern(ish). You can follow any responses to this entry through the RSS 2.0 feed. You can skip to the end and leave a response. Pinging is currently not allowed. I say this to you, Livius. I’ve tried using proxies before but the videos still didn’t run for me. You may want to add to the list–severe constipation due to the diet (peas in particular), severe hernias due to heavy lifting, falling out of the rigging, suffering frequent corporal punishment such as flogging, and drowning for almost anyone who wound up in the sea–not to mention combat wounds. I rather image the skeletons are from the very lucky few who managed to survive and get back to port. That may significantly skew the actual sources of death in the navy at large during that time. Good point. 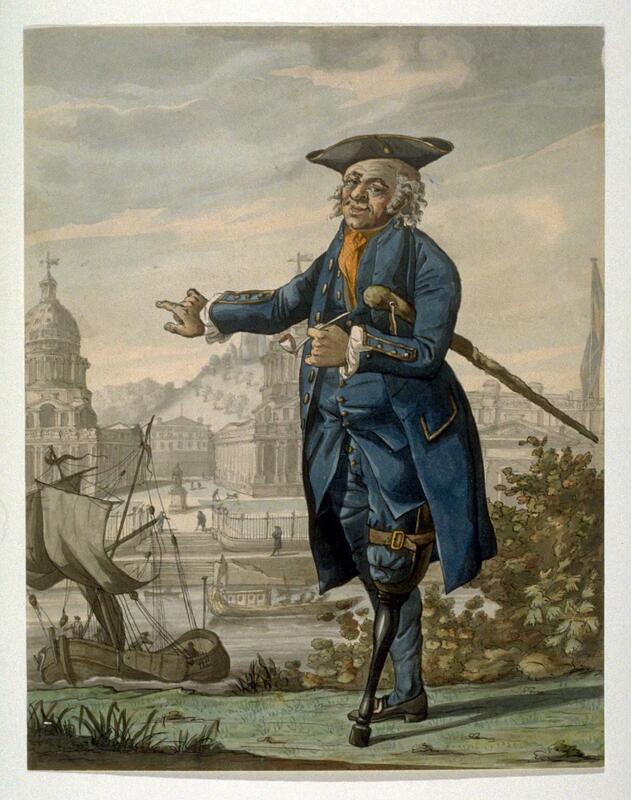 I read that the Greenwich Pensioners were still subject to naval discipline, believe it or not, thankfully minus the floggings. Thank you kindly. I’m delighted you found us.